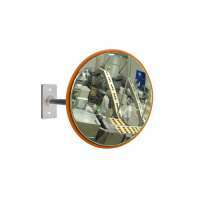 The F-Series Stainless Steel Food Safety Mirror offers the ideal process monitoring solution when hygiene and food safety is crucial. 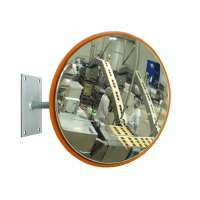 The Stainless Steel bracket allows this convex mirror to be adjusted to any angle to give staff the most optimal line of sight and therefore preventing costly stoppages, jams and bottlenecks.These mirrors are made entirely of Stainless Steel, including the bracket and back, and will withstand the harshest environmental conditions and cleaning regimes. 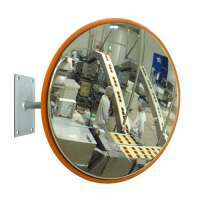 The 300mm F-Series Stainless Steel Food Safety Mirror offers the ideal process monitoring solution when hygiene and food safety is crucial. The Stainless Steel bracket allows this convex mirror to be adjusted to any angled to give staff the most optimal line of sight and therefore preventing costly .. 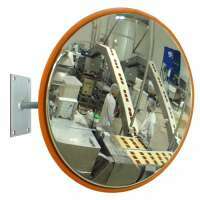 The 450mm F-Series Stainless Steel Food Safety Mirror offers the ideal process monitoring solution when hygiene and food safety is crucial. The Stainless Steel bracket allows this convex mirror to be adjusted to any angled to give staff the most optimal line of sight and therefore preventing costly .. In Stock! The 600mm F-Series Stainless Steel Food Safety Mirror offers the ideal process monitoring solution when hygiene and food safety is crucial. 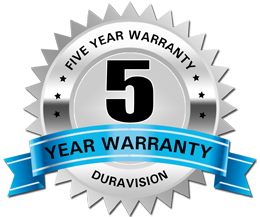 The Stainless Steel bracket allows this convex mirror to be adjusted to any angled to give staff the most optimal line of sight and therefore preventi.. The 800mm F-Series Stainless Steel Food Safety Mirror offers the ideal process monitoring solution when hygiene and food safety is crucial. The Stainless Steel bracket allows this convex mirror to be adjusted to any angled to give staff the most optimal line of sight and therefore preventing costly .. The 1000mm F-Series Stainless Steel Food Safety Mirror offers the ideal process monitoring solution when hygiene and food safety is crucial. 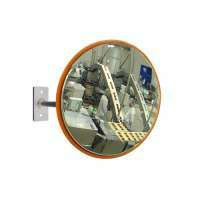 The Stainless Steel bracket allows this convex mirror to be adjusted to any angled to give staff the most optimal line of sight and therefore preventing costly..